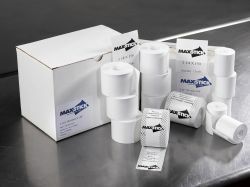 Merley is the sole distributor of MAXStick labels for the UK and Ireland. 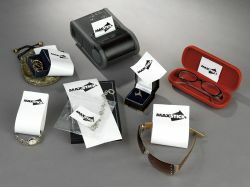 MAXStick labels can be any length and are easily removed and re-stuck to a different surface again and again. They are biodegradable and recyclable. 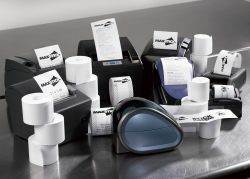 MAXStick labels turn Epos printers into label printers. They are liner free direct thermal rolls of labels. 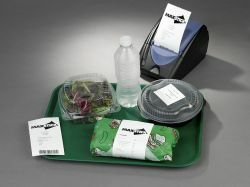 MAXStick products can be adapted to a wide variety of applications including: Food Service, Retail & Business, Diagnostic & Medical, Manufacturing, Warehousing & Shipping. Suitable for use with the following Makes/Models: > Epson - TM-T881V ReStick, Star - TSP650 & TSP100, Citizen - CT-S2000, CT-S300 & CMP-10 and Axiohm - Astero.